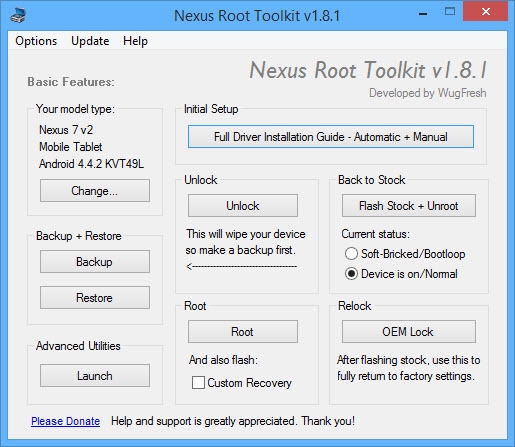 Nexus Root Toolkit v1.9.3 Released! New user options for SuperSU added to the main options menu. Now you can have NRT update to the latest beta releases of SuperSU, and also to install SuperSU Pro (via Playstore). 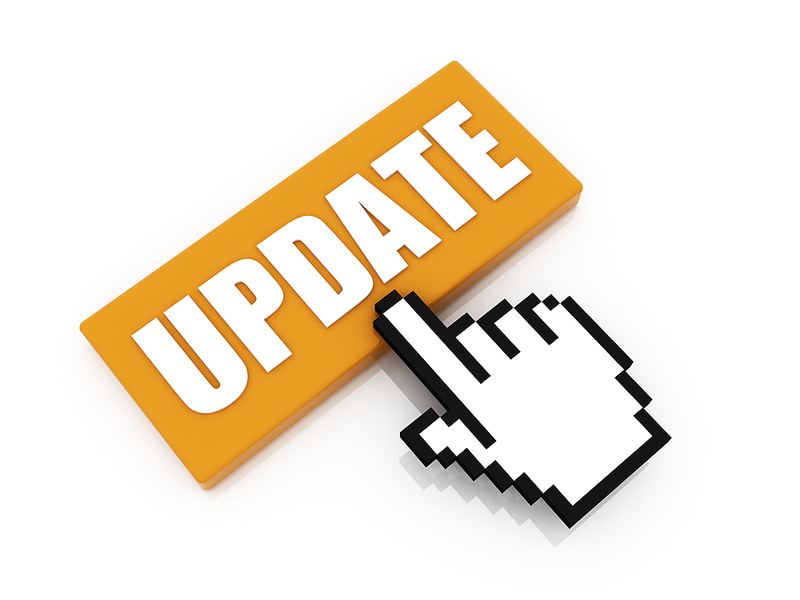 Additional fixes and preparations for N6 and N9 when they are released. Nexus Root Toolkit v1.8.2 Released! Optimizations + fixes, and also added Philz Advanced Recovery as another custom recovery option. 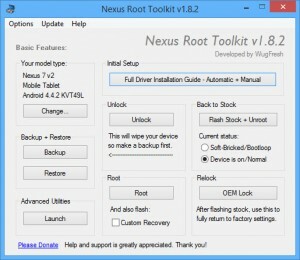 Nexus Root Toolkit v1.8.1 Released!! NRT v1.8.1 is now publicly available for download! Sidenote: This is just a release notification – so please don’t post your support questions here. Please make use of XDA or the main page instead, thanks! Nexus Root Toolkit v1.8.0 Released! NRT Masterlists Just Updated For Full KOT49H 4.4.2 Support! All the new files are finished uploading and the official NRT public masterlists are now fully updated to support KOT49H 4.4.2 Kitkat on all the compatible Nexus devices. To get KOT49H listed in the toolkit just initiate an update via Ctrl+u or simply restart NRT if you left auto-updates enabled. 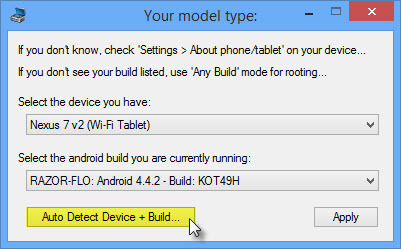 Wug – when will you release a toolkit update for KitKat 4.4.1 and 4.4.2 ??? How to update when an OTA is not working? I hope this helps to clarify some things and provides users with a better understanding of their options when it comes to updating their devices. XDA is the best (and my most preferred) way for end users to contact me about technical problems, so please try and use it instead of asking me question via tweets and G+ posts. Thank you! NRT v1.7.9 is officially released! Head over to the main NRT download page for more information and download links. Check out the updated changelog for a comprehensive breakdown of the changes in this new release. – Please don’t post technical questions in this blog post – you can direct those at the XDA forums or on the main NRT download page. Thank you! Wait for the main toolkit interface to open and the updates to finish. Then > Check back in the device list and you will see KRT16S listed!